The baseball team continued to stay hot after returning to New England after spring break. The Jumbos went 4-1 in the last week, which includes taking two out of three games from Trinity in the team’s first NESCAC East series of the season. The Jumbos now stand at 12-2 overall (2-1 NESCAC) and are still ranked eighth in the country by the National Collegiate Baseball Writers Association (NCBWA) and D3Baseball.com. With 152 runs in just 14 games this spring, the team’s offense has been powering much of its success so far. 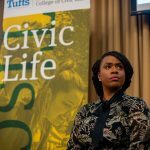 Since returning to New England, Tufts defeated Mass. Maritime 8-2 last Wednesday and Salem State 10-4 on Monday. Despite the delayed start caused by the weekend storm, Trinity still hosted the team for the scheduled NESCAC East series in Hartford, Conn., with Tufts winning Saturday’s match-up and splitting Sunday’s doubleheader. Monday’s game against Salem State — which was Tufts’ home opener since last week’s game against Mass. Maritime was moved — saw Tufts’ high-powered offense rally in the late innings for a comfortable win. After the Vikings scored two runs in the top of the third inning, the Jumbos trailed 4-3 until the bottom of the sixth. Junior first baseman Nick Falkson led off with a double, immediately followed by McLaughlin crushing a double down the right field line to tie the game 4-4. Junior Malcolm Nachmanoff then knocked McLaughlin in with a single to retake the lead. The Jumbos padded their lead with a series of extra-base hits in the bottom of the seventh, starting with first-year Elias Varinos’ triple to right field followed by a double from senior Oscar Kutch. Sophomore Casey Santos-Ocampo singled to left field with two outs to score Kutch, and in the next at-bat, McLaughlin hit his first home run of the season. Salem State went to the bullpen, but Nachmanoff stepped to the plate after the switch and homered as well, sealing the 10-4 win. First-year reliever Brad Marchetti, who entered the game at the start of the seventh, turned in his best performance of the season so far by blanking the Vikings for three innings and not giving up any hits to clinch his first save of his career. 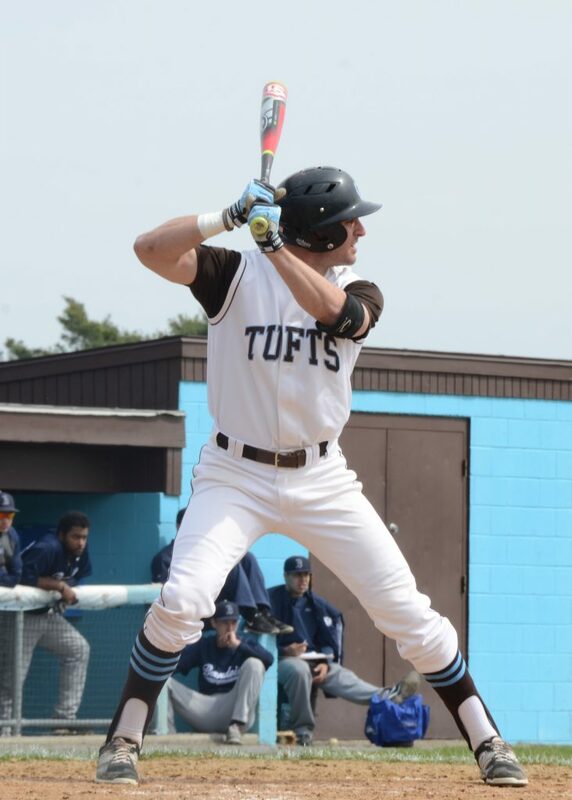 The series against Trinity over the weekend featured more prolific run production from Tufts hitters, including a wild 15-run inning in the final game on Sunday afternoon en route to a 23-5 victory. The Jumbos were trailing 3-2 entering the seventh inning in the rubber match of the series after losing 9-6 earlier in the day and winning 10-5 on Saturday, but they took advantage of a worn-down Bantam bullpen, went through the batting order three times and picked up nine hits against four different pitchers in that frame alone. Senior second baseman Tom Petry, Kutch, junior third baseman Tommy O’Hara, junior shortstop Christian Zazzali and senior tri-captain left fielder Harry Brown all had at least one base hit in the inning. Nachmanoff also hit a triple, and Brown had a double on the inning. Senior right hander Rory Ziomek, who came on in relief in the sixth inning, got the win after pitching four innings and giving up two runs — one earned — on four hits, striking out five Bantams in the process. Nachmanoff explained that Trinity had depleted its bullpen, giving the Jumbos more opportunities behind the plate. In the loss to Trinity earlier that day, Tufts held an early 6-2 lead entering the bottom of the fourth but gave up five runs in a sloppy defensive inning. The Bantams capitalized on both a Jumbo fielding error and a passed ball to pick up two unearned runs on the inning, along with another three earned runs on three hits and three walks. Trinity scored one last run in the bottom of the fifth inning after a double from Tyler Buckley to clinch the 9-6 victory. In the first game against Trinity and in the conference, Tufts won 10-5, maintaining the lead for the entire game. Kutch went three for five with a home-run and two RBIs. Senior tri-captain Speros Varinos earned his fourth win on the season with five strikeouts, nine hits and two earned runs. With a single from McLaughlin and a double from Santos-Ocampo earning the team two RBIs, the team solidified the victory in the top of the ninth. Junior pitcher Ian Kinney closed the game in the bottom of the inning. Against Mass. Maritime, Tufts clinched an easy win in the first game back in New England at 8-2. Kutch had a homer in the game and is now batting .377. The team scored four runs in the bottom of the eighth with a single from Brown, an RBI on a sacrifice fly from sophomore Harrison Frickman, a double from Kutch, a single from Falkson and a single down the right side from Santos-Ocampo. Tufts also capitalized on two Mass. Maritime errors. Nachmanoff said the team is hoping to cut down on some of its mistakes going back into the conference. “I think we’ve made some errors and given up free bases, so we are focusing on taking care of the baseball so that when we go back into conference, we will compete better and cut down on these mistakes,” he said. The team will face MIT at home on April 6, with the Engineers coming into the game 8-4 on the season, but having won five of their last six games.